EFA Nitrogen-fixing Crops: the ban will apply throughout the life cycle of the crop, from sowing to harvest. The first scheme year in which this ban applies is 2018, and it will apply to the crop even if sowing takes place prior to 1st January 2018. EFA Fallow: the ban covers the period 1st January to 30th June in each scheme year commencing 2018. EFA Catch Crops: must be maintained for a minimum period of eight weeks starting on 20th August 2018. The ban applies during the period 20th August to 14th October with effect from the 2018 scheme year. In this case the ban does not apply for the full life cycle of the crop. 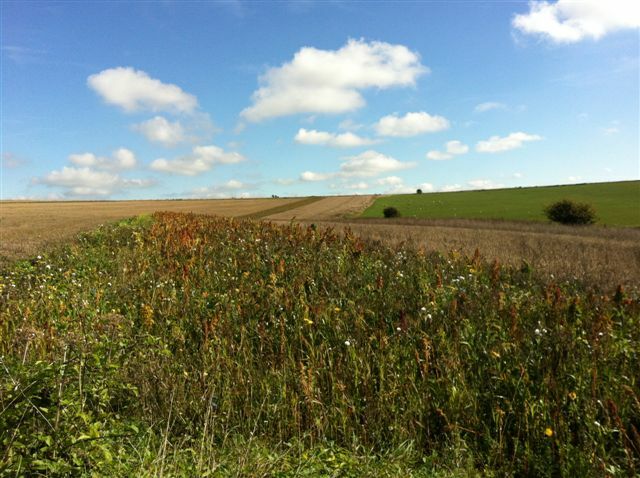 EFA Cover Crops: the ban applies during the period 1st October to 15th January with effect from the 2018 scheme year (so from 1st October 2018 to 15th January 2019). In this case the ban does not apply for the full life cycle of the crop. It is important to note that these changes also apply to agri-environment agreement holders who are using their ELS/HLS/CS options as EFA fallow. This is particularly important for HLS agreement holders who are not affected by double funding reductions (i.e. full payment is received under both Pillar I and AES payments), as in many cases the use of chemicals such as glyphosate is allowed in the establishment and management of scheme options. However, even when this is allowable under ES/CS agreements, if options are used towards a claimants EFA requirements, the use of pesticides will not be allowable under the EFA rules from 2018 inside the periods identified above. If an agreement holder is including a scheme option towards their EFA (such as wild bird seed mixtures or fallow plots for ground nesting birds) and needs to use herbicides to establish them, they will need to do so in the autumn or winter before (if it’s a spring sown mix), and any targeted management once the mix is established will need to take place after 30th June/before 1st January.